I decided I wanted to be a social worker when I was 17. I knew I wanted to help people and had that urge all throughout my life. I think it came from my 7th grade religion class about how Jesus helped others because that’s when I really started grasping the idea of what a merciful person Jesus is. I went through college and got my BSW and MSW but that thought was always in the back of my mind about being like Jesus and I thought I was to some extent. Last year I came across Heart of Mary and it changed my life. I quit social work because I was extremely unsatisfied and because God was calling me to do more than just “help people” but help people by proclaiming His word and help people through Him! I also kept noticing how in social work, the clients I would meet with, typically did better when religion was involved and I wanted to speak more on it but because of my job at the time, I could not. I think underlying for a lot of people they find deep solace or at least curiosity in their religion (I worked with many) and finally now I am able to speak on it! God comes to us and tells us in John 8:31-42 that we are descendants of Abraham and that we must do what God has called us to do. We must continue on with Jesus’s ministry! Like Saint Mother Teresa says, Jesus has only our hearts and eyes and ears to proclaim and receive His good news! Reflect: You know the saying God never gives you more than you can handle? It’s true! 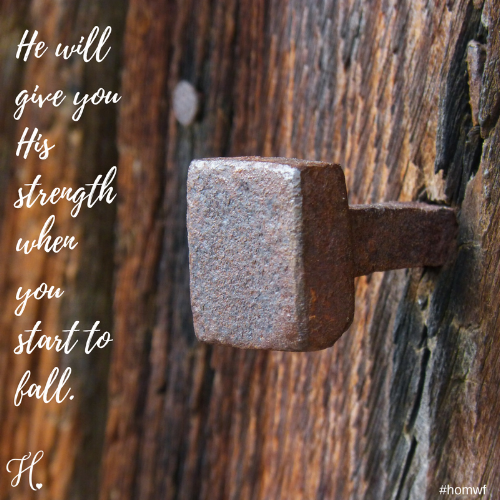 Even when you feel like He does, He will give you His strength when you start to fall. Saying yes to His will is the start to following His calling for you. Act: There is a quote along the lines of “You may be the only bible some people will hear or see”, so carry on Jesus’s ministry to all those you come across in your life! Nothing pleases Him more.